Here’s some bad news for hunters living in North America and Europe. According to a report by Geekscape, chances of the Monster Hunter Stories amiibo, which were released in Japan last year, are nearly zero in the west. 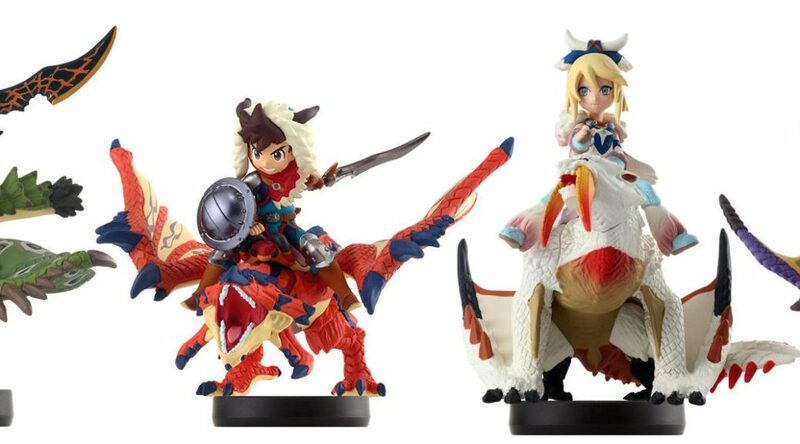 Out of the 6 Monster Hunter Stories amiibo, five of them are various riders riding on Monsties (monster companions). Tapping the amiibo will unlock the actual Monstie in Monster Hunter Stories. On the official American Monster Hunter Stories website, there’s no word on unlocking Monsties in the game. There’s only mention of receiving “high-grade items” that non-Monster Hunter Stories amiibo can unlock in both the Western and Japanese versions of the game. Although the original report marked this as a rumor, we’re going ahead to say this scenario is pretty much going to happen. We’ve seen the same thing happened with the Qbby amiibo – there was zero mention about Qbby amiibo’s special Game Boy filter unlock in the western version of Goodbye! BOXBOY. It’s instead unlocked when a save file from one of the previous BOXBOY games is detected. And with less than 3 weeks to the launch of the game, any amiibo announcement would have been made by now – not later. There’s no need to fret, though – if you’re living in North America, you can grab the Japanese imports on Amazon here. Or you can find plenty on the shelves when you visit Japan for vacation.